This is a sponsored post for Foster Farms All Natural Sliced Turkey. Today I am sharing with you my all-time favorite sandwich. I order this at least once a week from a local bagel shop. It’s so simple that I don’t understand why I don’t make it at home. So I thought, why not save some money and make a sandwich with the exact ingredients that I love. Here is my beloved Turkey Sandwich. This sandwich is low-calorie, full of protein, the right amount of flavor and is simply delicious! You really have no idea how much I love it! 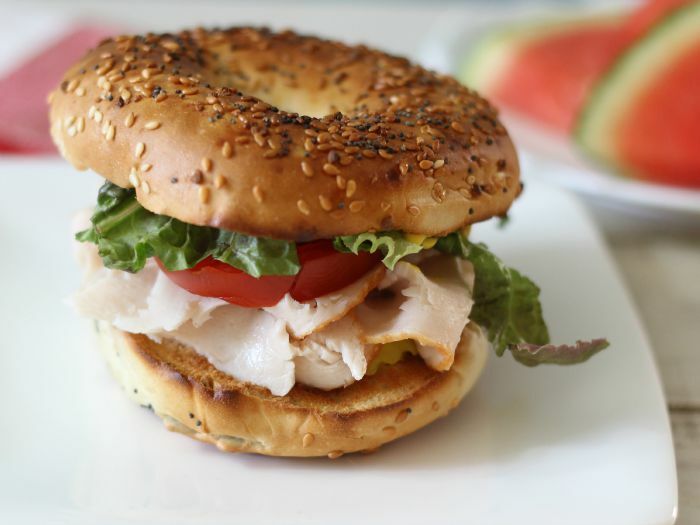 It’s made with Foster Farms All Natural Oven Roasted Turkey, lettuce, tomato and pepperchini’s that has been sandwiched between an Everything Bagel. Yum! Oh and just a little bit of mustard. I can’t forget the mustard. 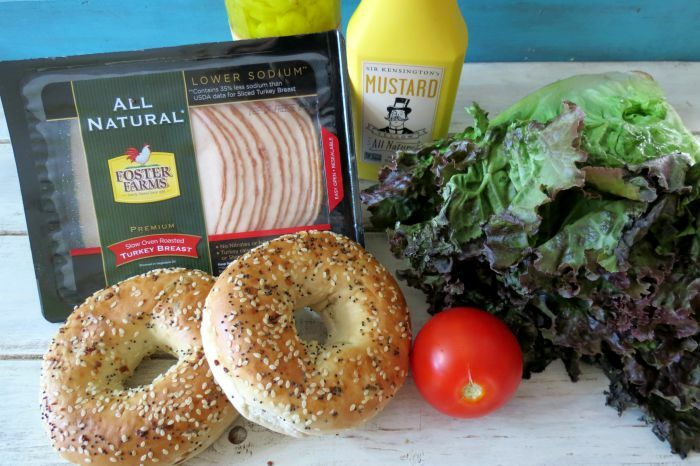 The key thing to making this sandwich is coring out the bagel. I took my fingers and tore out the center. It saves about 75 calories off of the bagel. You don’t need all of that extra bread and it makes a nice pocket to fill with your ingredients. Plus I used Foster Farms All Natural Sliced Turkey in Oven Roasted flavor. The turkey is 35% lower in sodium and only 60 calories for 3 slices, contains no nitrates/nitrites, chemicals or preservatives. Raised without hormones or steroids, the turkey is also 98% fat free. It does taste like it was made fresh out of the oven. I’m pretty picky when it comes to turkey deli meat and I have to admit, I love Foster Farms All Natural Sliced Turkey. Create a turkey sandwich using Foster Farms All Natural Sliced Turkey lunchmeat and other creative ingredients of your choosing. Post a photo of your sandwich to Instagram. In the caption, include the list of ingredients and tag @FosterFarmsand #DontCallMeBasic. Make sure your profile is public! Sandwich concoctions will be selected and judged by a panel of culinary and food media professionals, who will identify five recipe finalists. The grand prize winner will be selected from the finalists by a panel of five food and lifestyle blogger judges. The winner will be announced in early September! For official Rules & Regulations, visit www.fosterfarms.com/dontcallmebasic.pdf. 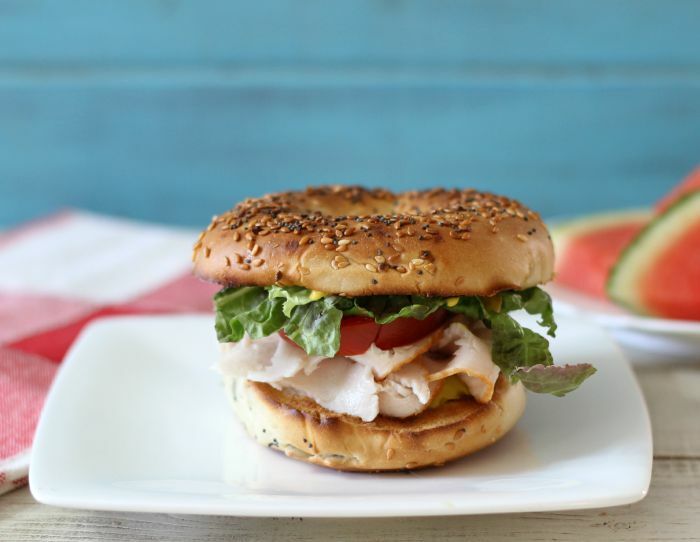 A light, healthy sandwich made with oven-roasted turkey, lettuce tomatoes and pepperchini's that are sandwiched on a toasted Everything Bagel. Core out the insides of the bagel, staying away from the edges. This will make a pocket on each side of the bagel. Toast bagel in a toaster. To layer the sandwich, on the bottom slice, add pepperoncini, top with the following; turkey, tomato and lettuce. Add the mustard to the top of the lettuce. I love sandwiches and this one is the best in my opinion! 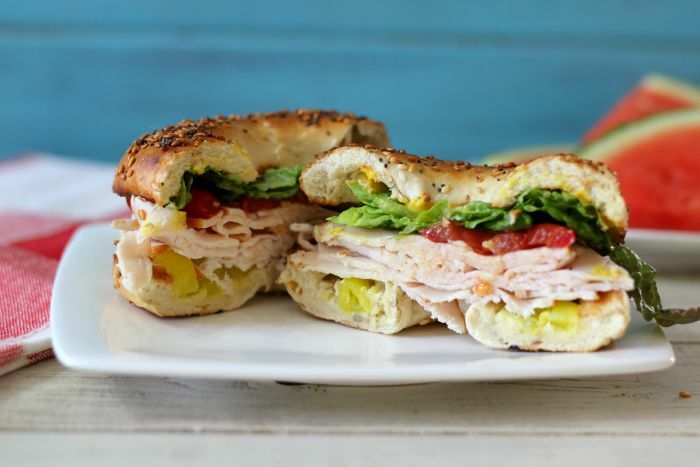 What are your favorite kinds of turkey sandwiches? 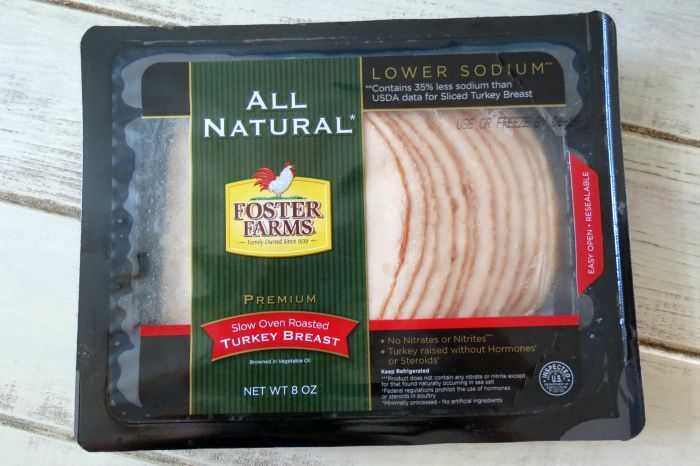 This is a sponsored post written by me on behalf of Foster Farms All Natural Turkey Slices.